Navan Dental Clinic - Did you know? We are accepting new patients and emergencies! Bruxism: is when you clench (tightly hold your top and bottom teeth together) or grind (slide your teeth back and forth over each other). Bruxism is usually caused by having excessive daily stress, the symptoms would be having a sore or painful jaw and treatments would be to: massage the muscles of the neck, shoulders, and face, and try to reduce your daily stress. 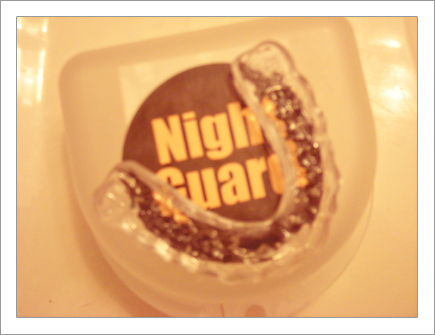 The dentist can also recommend wearing a night guard while sleeping. Snoring: Specially made dental appliances called mandibular advancement splints, which advance the lower jaw slightly and thereby pull the tongue forward, are a common mode of treatment for snoring. 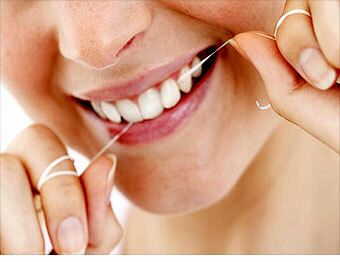 Flossing: Brushing the teeth is one of the most effective and popular form of oral hygiene. Though, the fact is that a toothbrush is unable to reach each and every nook and corner of mouth. Hence, to clean the in-between spaces of teeth, where most of food particles take refuge, 'flossing' is highly recommended. Rinsing: After eating, drinking liquids that may stain your teeth (such as coffee, tea, red wine) or after taking medication is very important to not only keep white shiny teeth but to eliminate food debris and plaque accumulated in the mouth. There is two types of mouth rinses: cosmetic rinses and therapeutic rinses. The difference between these two is that the cosmetic rinses are sold over-the-counter and the therapeutic rinses are prescribed by the dentist. Patients with oral disease's will be prescribed the therapeutic rinse. This mouth rinse helps reduce the bacteria in the mouth. Fluoridation: Fluoridated water has fluoride at a level that is effective for preventing cavities; this can occur naturally or by adding fluoride. 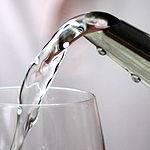 Fluoridated water operates on tooth surfaces: in the mouth it creates low levels of fluoride in saliva, which reduces the rate at which tooth enamel demineralizes and increases the rate at which it remineralizes in the early stages of cavities. Recession: Gum recession, is what happens when gum tissue is recessed and lowers its position on the tooth, exposing the roots of the teeth. This can be caused by any number of life habits for example: aggressive brushing or flossing, Abnormal tooth position, bruxism, trauma and poor oral health. Soft brushing and flossing is recommended if its at an early stage and in some more severe cases a referral to a gum specialist is needed for a gum graft. 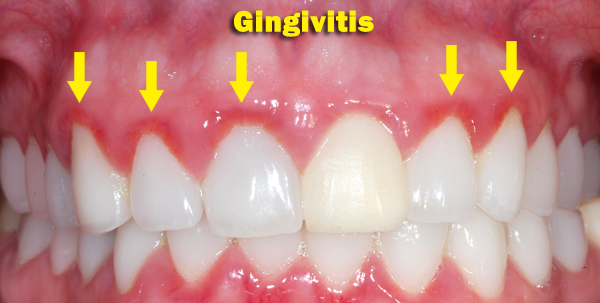 Gingivitis: Gingivitis is an early stage of gum disease caused by the buildup of plaque on the tissues that surround the teeth. Plaque, a naturally occurring biofilm containing bacteria, can lead to gingivitis if not removed by daily brushing. 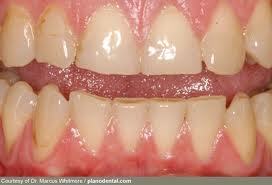 Some symptoms of gingivitis include red, swollen, bleeding gums and bad breath. Its important to go for regular check up and cleaning so that your Dental Hygienist evaluate your gums, if the gingivitis persist it may lead to Periodontitis (bone loss). To avoid gingivitis you should brush your teeth twice a day, floss daily and rinsing (mouthwash or salt water). 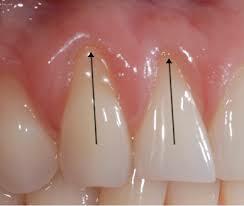 Periodontitis: When gingivitis is not treated, it can advance to periodontitis. 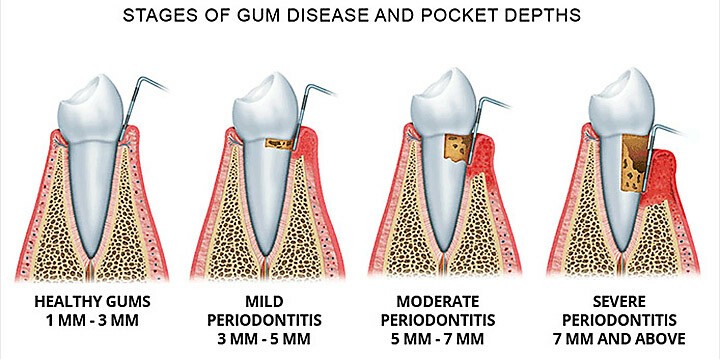 In periodontitis, gums pull away from the teeth and form spaces (called “pockets”) that become infected. The body’s immune system fights the bacteria as the plaque spreads and grows below the gum line. The body’s natural response to infection start to break down the bone and connective tissue that hold teeth in place. If not treated, the bones, gums, and tissue that support the teeth are destroyed. 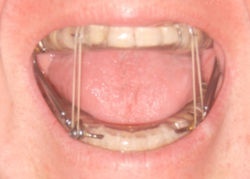 The teeth may eventually become loose and have to be removed. 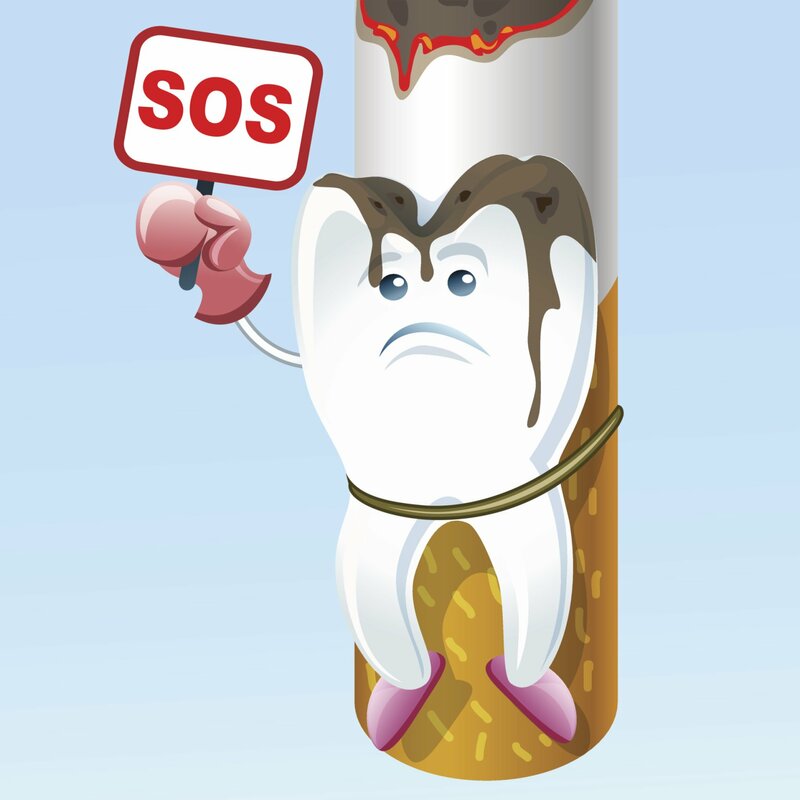 Smoking: Smoking tobacco can seriously affect the appearance and damage your gums and teeth. There is a lot of health side effects due to smoking but for your mouth as well, here to name a few: reduced sense of taste, bad breath, stained teeth, gum recession, accumulation of tartar and plaque, sensitivity to hot/cold and delayed healing after dental procedure. It also put you at higher risk of developing oral and throat cancers, periodontitis, tooth decay and mouth lesions that don't heal. Dr. A. Mirfarsi DMD, M.Sc. Only 5 min. south of Innes Rd.